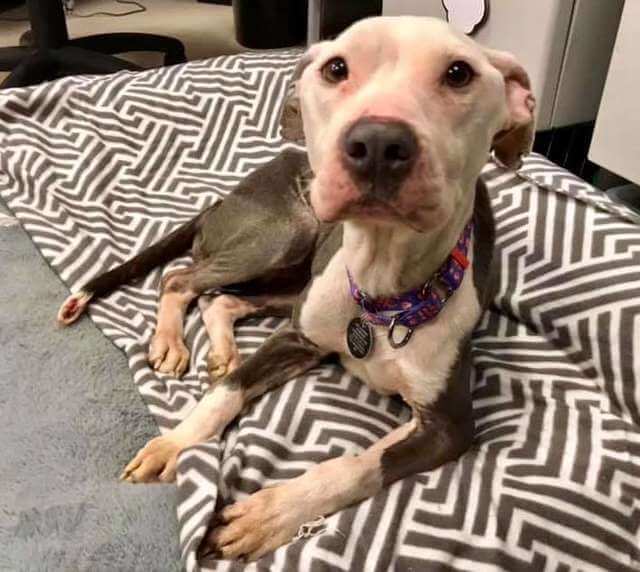 When Sky was found abandoned in the front yard of the Delaware Humane Association, she was shivering from the cold. 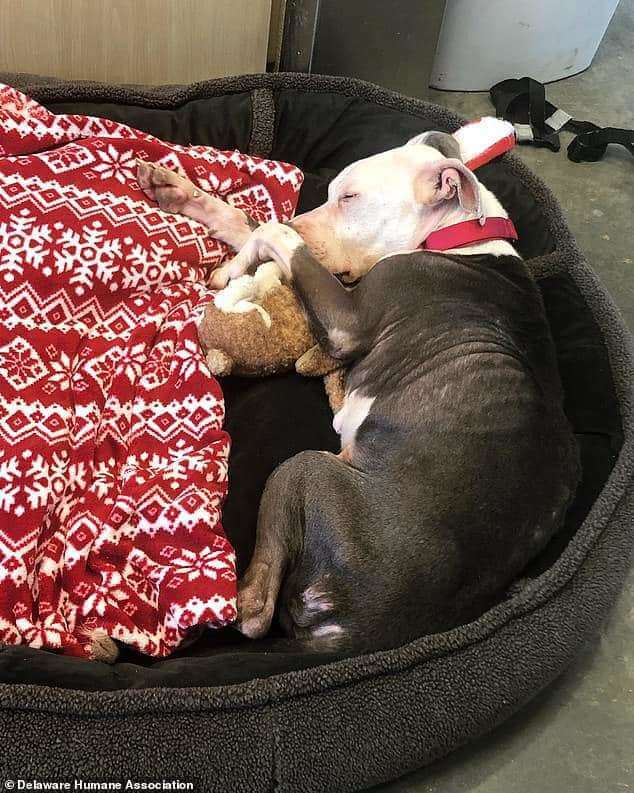 Staff hurried to bring in the pup, who looked extremely skinny and starved, and saw that a note was pinned to the pup’s collar. The note detailed her name and age (6 years old) and asked that the shelter take care of her. The writer explained that they are homeless, and that the pup is extremely friendly and not sick, merely hungry. This heartbreaking letter concluded with a plea for the shelter to find Sky a new home. 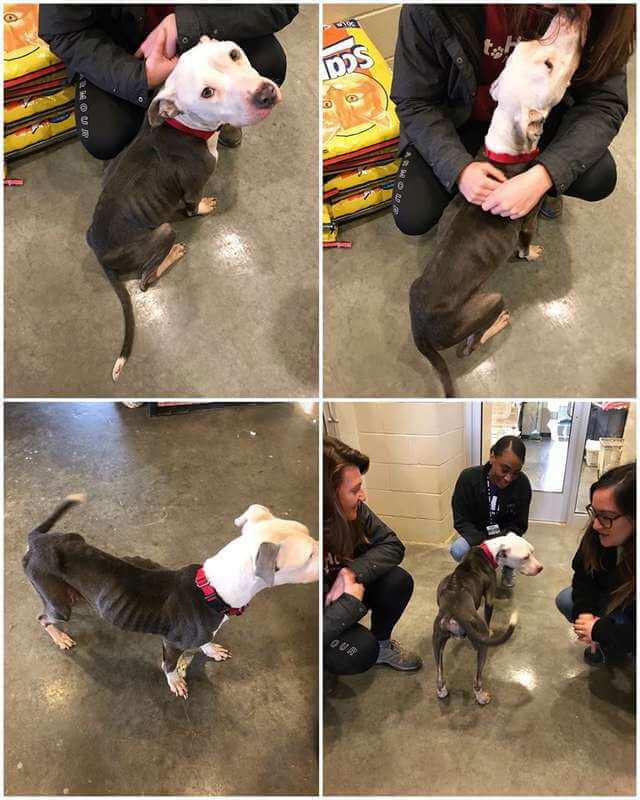 Sky was extremely happy to be around people, and though she was obviously hungry and cold, she was cheerful and happy the whole time. She went to bed well-fed that night, in a comfy, soft sleeping spot. The staff is saddened by the fact that the homeless individual who left Sky there didn’t bring her in themselves. Not only is it impossible for them to find him and help him, but even if they did, abandoning the poor pup like that is against the law. If he had just walked in and given them Sky directly, they would have been able to help him and any family he has with him with their grant funding. 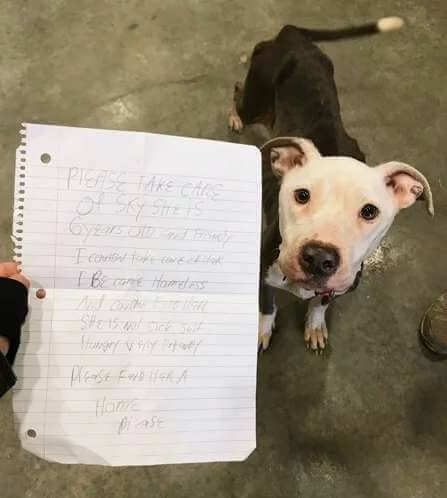 But then, Sky’s tale went viral, and the man who dropped her off actually contacted the shelter. He asked to stay anonymous and made it clear that he didn’t want help and was doing better now. He has a large family and he and his spouse lost their jobs at the same time, which put them in a bad place – but he is now employed again! Meanwhile, Sky has been having fun. She’s gotten countless food donations and is working on gaining enough weight to be fully healthy again. Then, she’ll be available for adoption to a family that can give her the best – just what her previous family wanted for her. 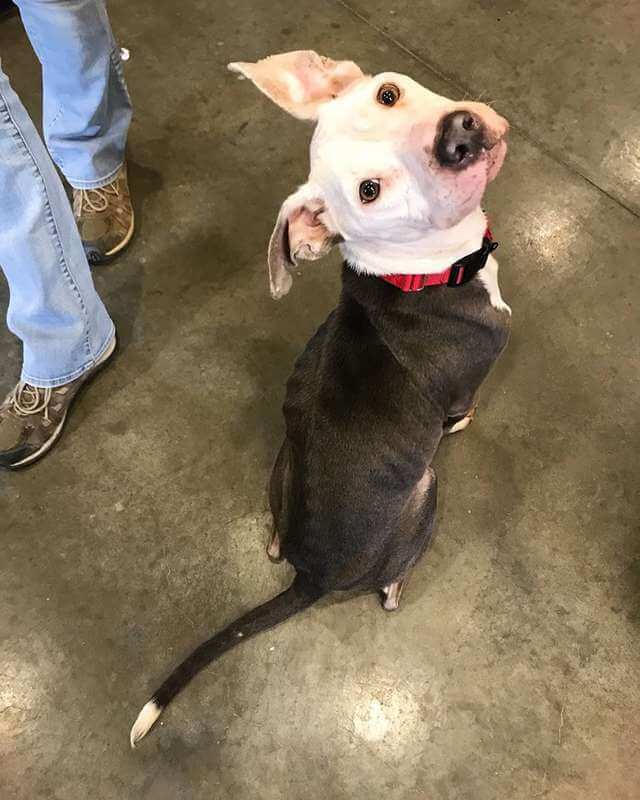 If you’re interested in adopting her, you can get more details here. What Happens When One Pup Decides To Find A New Friend?! Check This Out! Watch How This Adorable Pup Dries Himself After Playing In The Snow!